Stan is the oldest of the two brothers. I’ve asked Stan to describe his first childhood memory of Congo. “The first memory that comes to mind is learning to ride a bicycle. It was commonplace for the Missionaries to hire natives to stand watch and guard the mission homes. This gave the Congolese pay that they could count on, a sense of pride in their responsibility, and an opportunity to observe these Christians up close. “The missionaries also hired cooks and gardeners. Thus freed from these tasks, the missionaries could concentrate on the reasons God had sent them to Africa: to teach the people about Jesus. They came as translators, as doctors, as nurses, as preachers, and teachers. Many of the native languages had never been translated into written words. By turning these spoken languages into written languages, the missionaries gave the people an opportunity to read God’s Word for themselves in their heart language. “The Congolese are very generous people: An example of that generosity was a young man named Yambu. 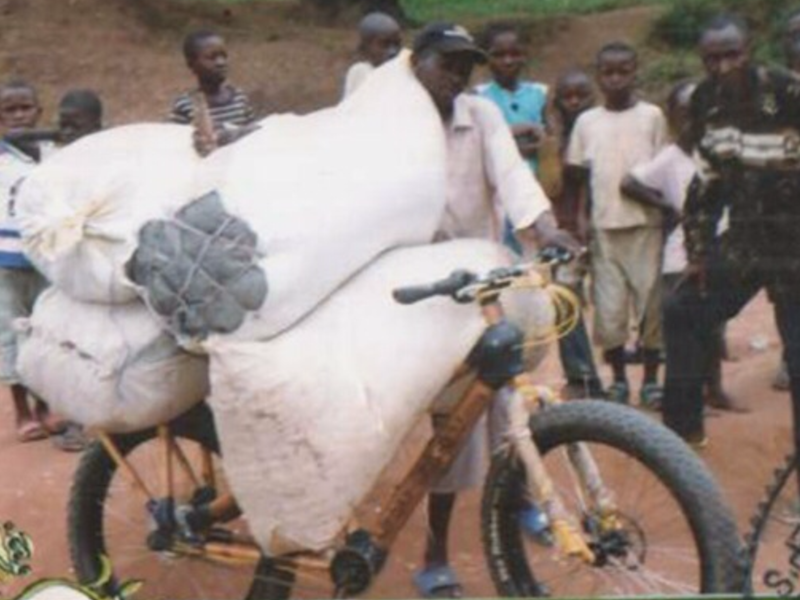 “In Congo bicycles are considered valuable assets. They not only provide transportation, but they are lifeline—a means of getting food to the market for sale or trade. Loosely translated, Kanyinda means that Stan is a friend. Be sure to check out the Project Page. Listed under Community Projects/Micro-Business is a photo and description of a current Hope 4 Congo project developing Cargo Bikes for the Congolese. Leave a Reply Below and be sure to Follow us.